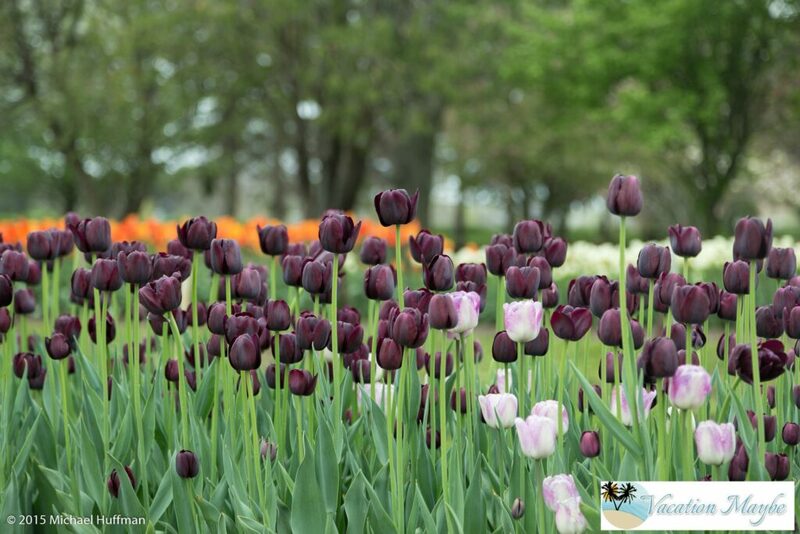 Every year the in the beginning of May in Holland, Michigan a Tulip Festival is held, Tulip Time. Some years the tulips come early, some years they are a little late, but most year the tulip bloom right on schedule and the festival happens with the tulips in full bloom. This year the main festival is from May 6th-14th. Be sure to check out the schedule. Last year we were unable to attend the festival and showed up a week late and were hoping to see just some of the late blooming tulips. Instead with the long cold winter we were blessed to see the tulips in full bloom and minimal crowds. Each year over 4.5 million tulips are planted in and around Holland, Michigan’s downtown. The streets are lined with tulips all through downtown. There are many different colors, styles and sizes. Tall ones, short ones, red ones, purple ones, feathered and traditional. Walking around down town is a treat, but to see more than five million tulips planted in rows you have to visit Veldheers. Veldheers is a tulip farm perennial garden where you can also buy bulbs for your own home to have a unique display of tulips. 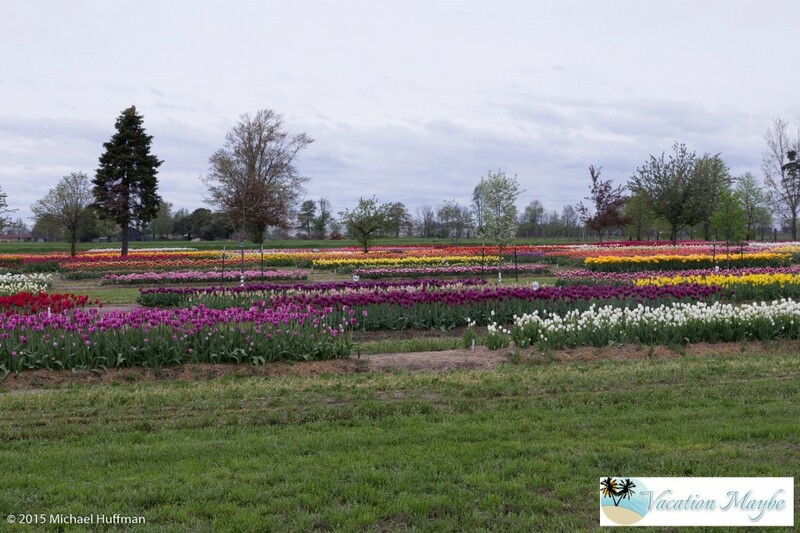 In 1950 Vern Veldheer started a hobby farm with 100 red tulips and 300 white tulips, today Veldheers plants over five million tulips for you to walk through and enjoy. Perennials and flowers are brought in from around the world for you to see, buy and plant in your gardens. Although we did not buy any tulips it was fun to walk through and see all the different tulips. 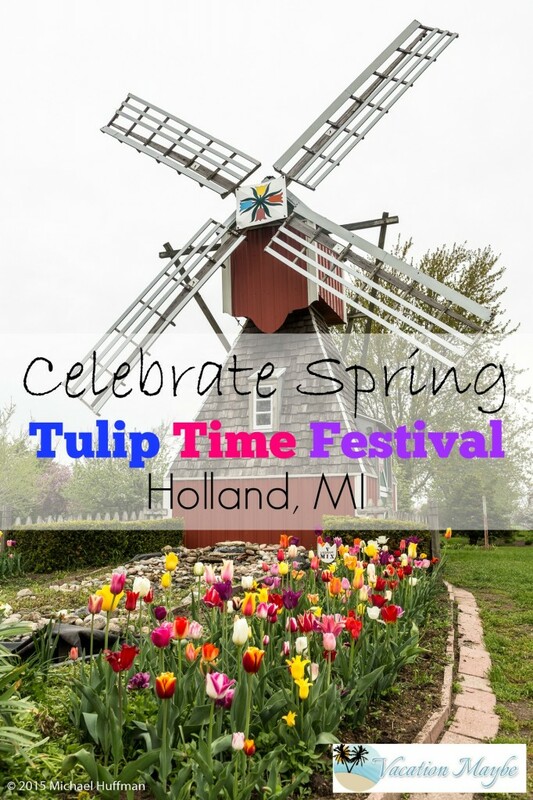 The Tulip Time Festival in Holland, Michigan is well worth taking the time to see. You can check out more information about this year’s festival here.